The new Russian Federation Astronauts Regulation was published in 2017, it focused on the rights and duties of astronauts among which are propaganda of RF’s advances in manned cosmonautics and observance of the professional ethics code. 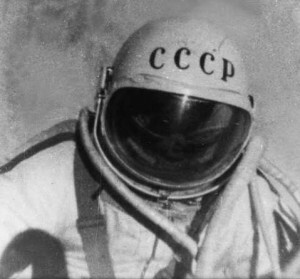 The first USSR Astronauts Regulation was confirmed in 1960s, it positing that astronaut candidate must have an impeccable ideological reputation, which is the foundation of professional ethics. 1960s is time, when a man takes first steps in the exploration of outer space (Gagarin, Titov, Leonov, Tereshkova, etc.). The Soviet Astronaut was not only professional, but kind and intelligent hero, which every reader and spectator knows. Astronaut was surrounded by the myth of an endless and dangerous space, but needing reclaiming. An image of astronaut was created on the basis of different hero models (from the Greek hero to the archaic cultural hero), so his / her activities were regulated not only USSR Astronauts Regulation and official instructions, but also limited to ethical images of the hero. Ethical requirements for cosmic heroes were broadcast through the media. Analysis of newspaper articles of “Pravda” and “Izvestia” (1961-1965) suggests that: – Firstly, astronauts had to take a special intermediate position. Mediality included on the one hand the worker-peasant accessibility and on the other belonging to the “higher spheres”. – Secondly, they had to perform educational task (be not only pilots or researchers, but also play musical instruments, read poems, write pictures, etc.). – Thirdly, they were deprived (or better to say completely devoid of) all limitations. A blameless image was a part of cosmic profession. Thus, the report will be concerned with image formation in structure of professional activities representation of Soviet astronaut (Y. Gagarin, G. Titov, A. Leonov, V. Tereshkova). This entry was posted in Ethical and tagged Astronauts, cosmonaut, ethical, image, soviet on 16/01/2018 by Mary.